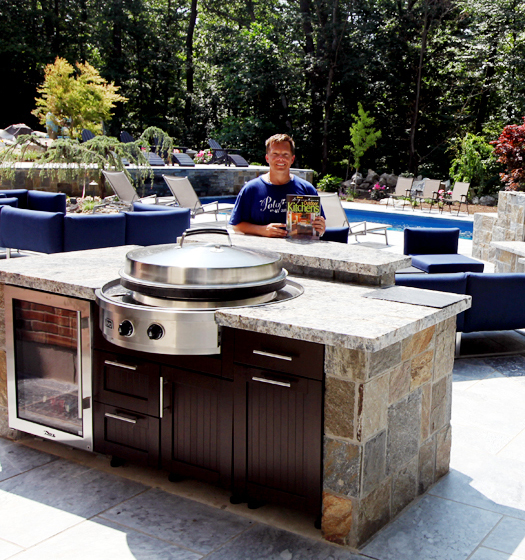 Cheshire, CT - Living beyond the walls of your home fabulously was made as seamlessly as possible by Outdoor Kitchen designer Michael Gotowala founder of THE OUTDOOR KITCHEN DESIGN STORE by PREFERRED PROPERTIES as the materials chosen were the same bricks as used on the house. Many of the rooms of this 10,000 sq ft house all point visibly to this outdoor kitchen terrace complete with outdoor grill island, warming drawer, side burner on one end of the terrace. A complete stand alone bar with top shelf and kegarator off the entry door on the other side of the terrace making a nice comforting outdoor living space for the family of eight. 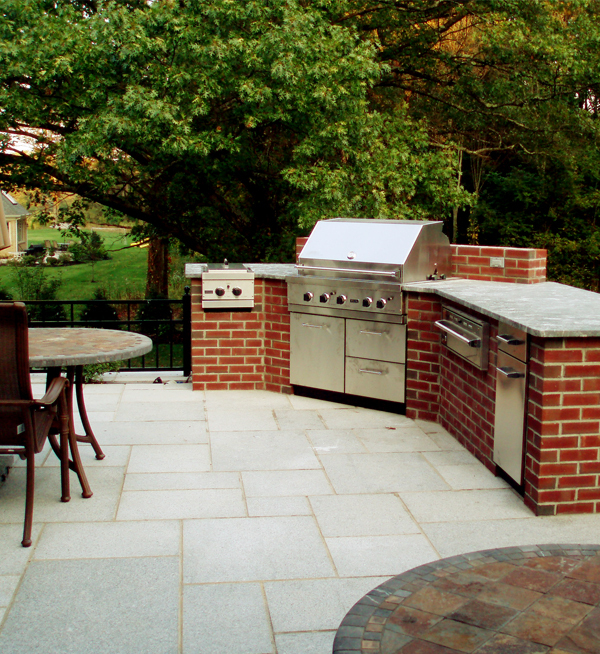 The black fleck granite softens the brick and makes for a great cooking, and conversing platform. The outdoor appliance line for this particular project was VIKING. Not so sure about your outdoor living space? you too can feel fabulously about living beyond the walls of your home outdoors. Start with reconsidering your outdoor living design. 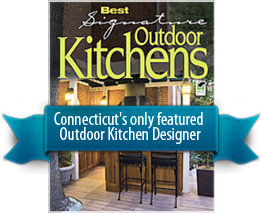 Call outdoor living fabulously designer Michael Gotowala founder of THE OUTDOOR KITCHEN DESIGN STORE by PREFERRED PROPERTIES 1-855-GET OUTDOORS.